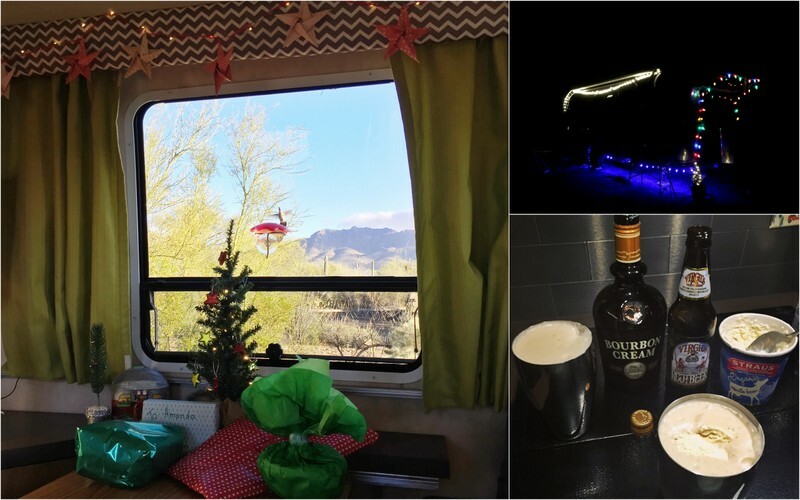 Unlike last year when we spent Christmas smack in the middle of Florida at my Grandmother’s house, this year we decided to enjoy a desert holiday in Tucson. 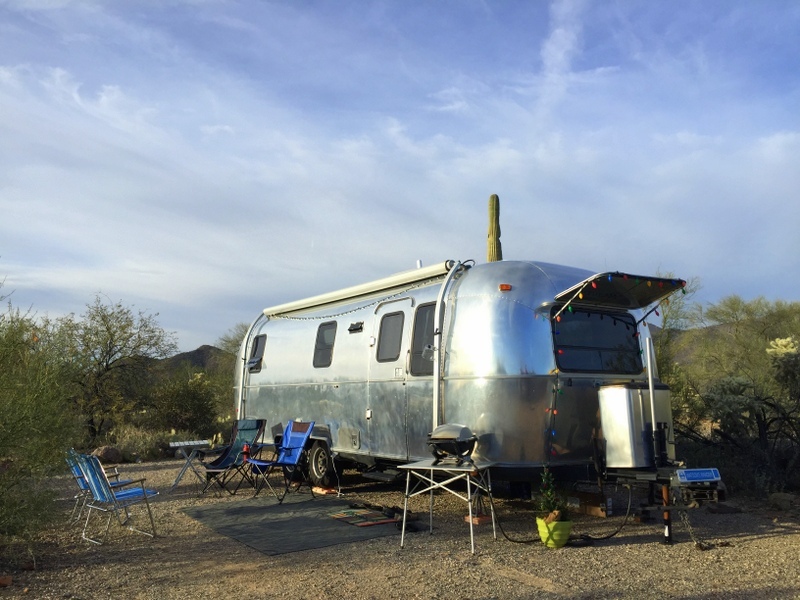 Our very favorite place to stay in Tucson is at the Gilbert Ray Campground on the far west side of the city. 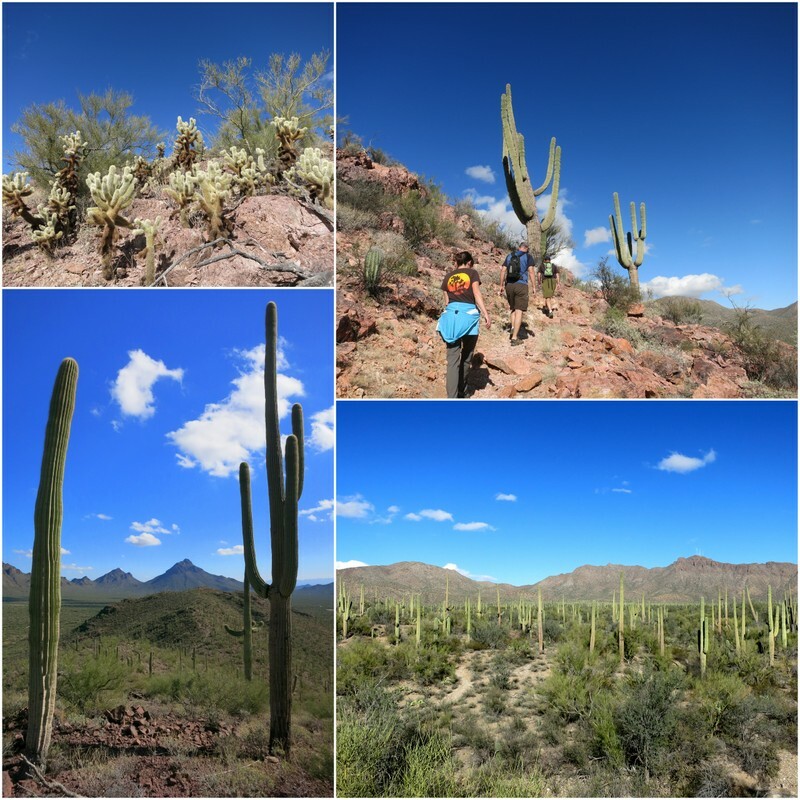 This large, county run park set amid a natural landscape lush with wild cacti and palo verde trees first captured our interest back in 2013. This year marks our third time staying here, and our third time in our preferred site, number H24. 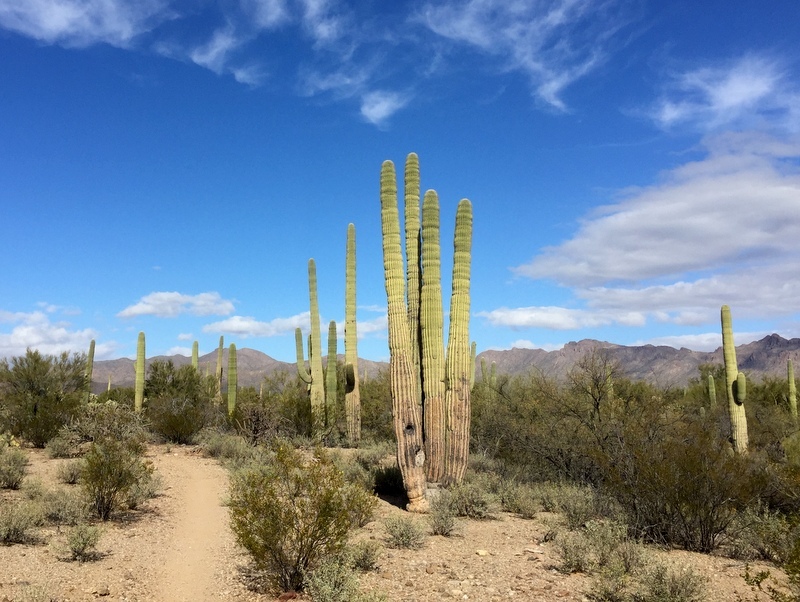 All previous visits have been in February when Tucson is bursting with visitors, and the campground has been anywhere from 50-75% full. This time it was probably closer to only 10% full, which surprised us considering it was a holiday week. No complaints though. Empty campgrounds are the best campgrounds. 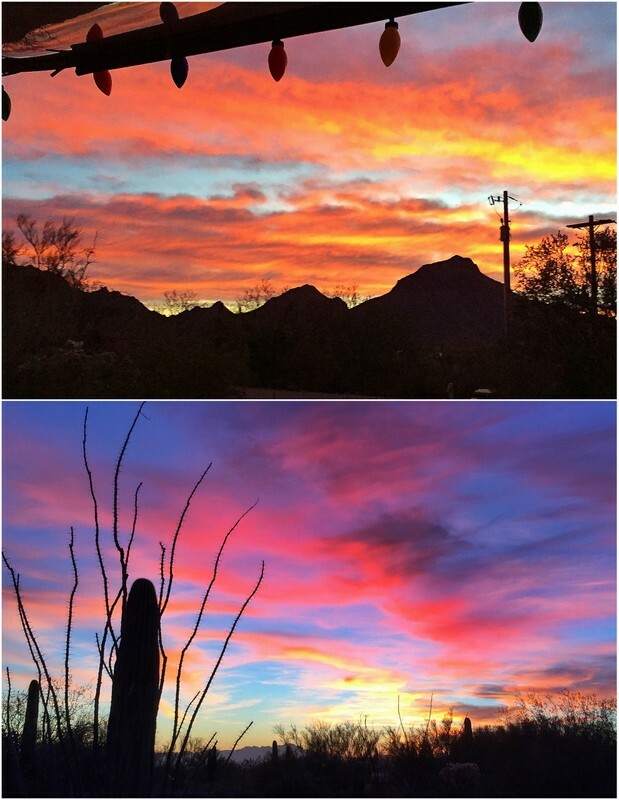 As usual, we enjoyed several spectacular sunrises and sunsets from our backyard. We also continued the tradition of hiking the Brown Mountain loop across the street from the campground. It was our third time tackling this hike and I’m happy to report that it was just as good as the first time around. Maybe even better because our good friends Robin & Jeremy who we last saw way across the country in northern Maine joined us for the hike. On Monday Tim’s mom, Carol arrived and we got busy playing tourist. 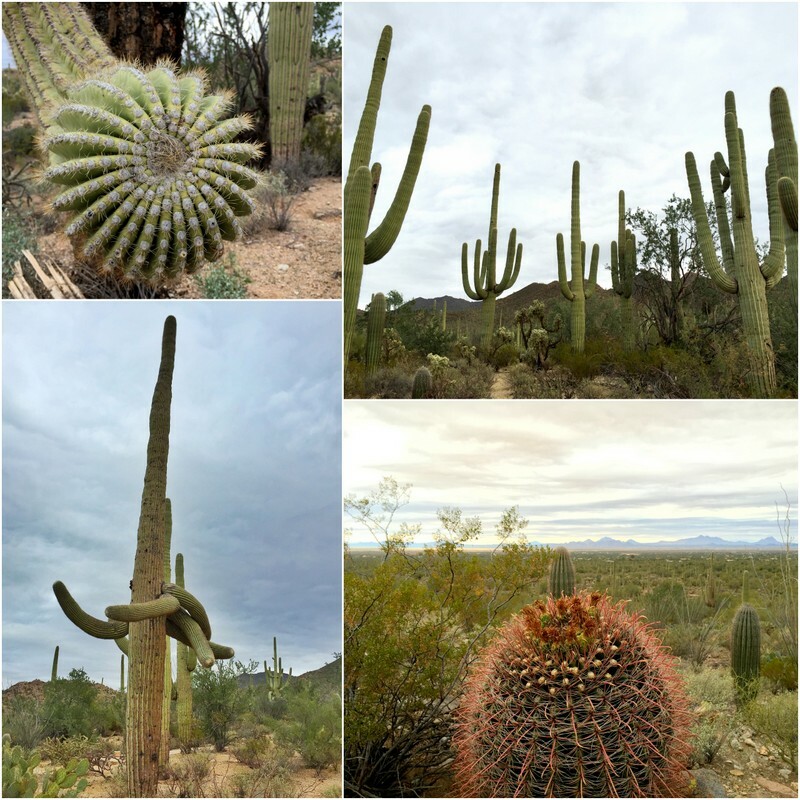 Despite a few cool, cloudy days we took a drive and some short hikes around Saguaro National Park. 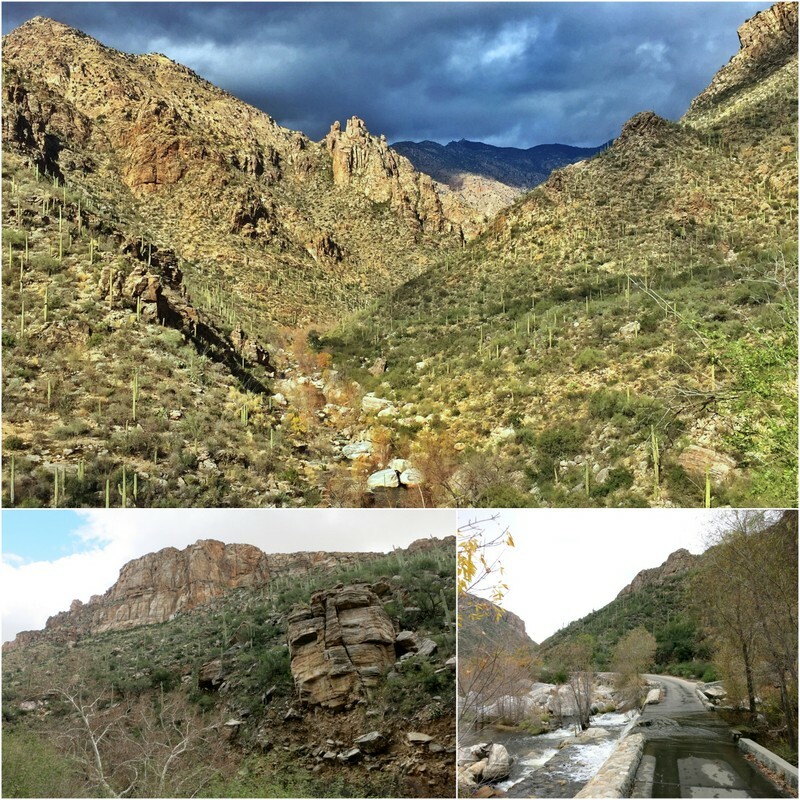 The next day we took the tram up into Sabino Canyon and then hiked part of the way down. 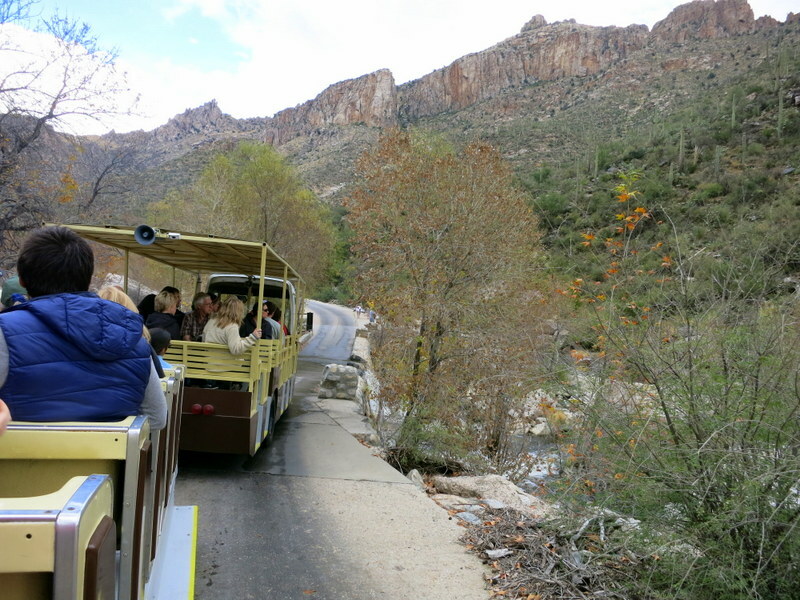 The tram stops at the top of the canyon and then at multiple points up and down the canyon so you can get on and off for hiking or exploring. It was kind of cloudy and on the cold side, but still very pretty and well worth the $10 tram ticket. 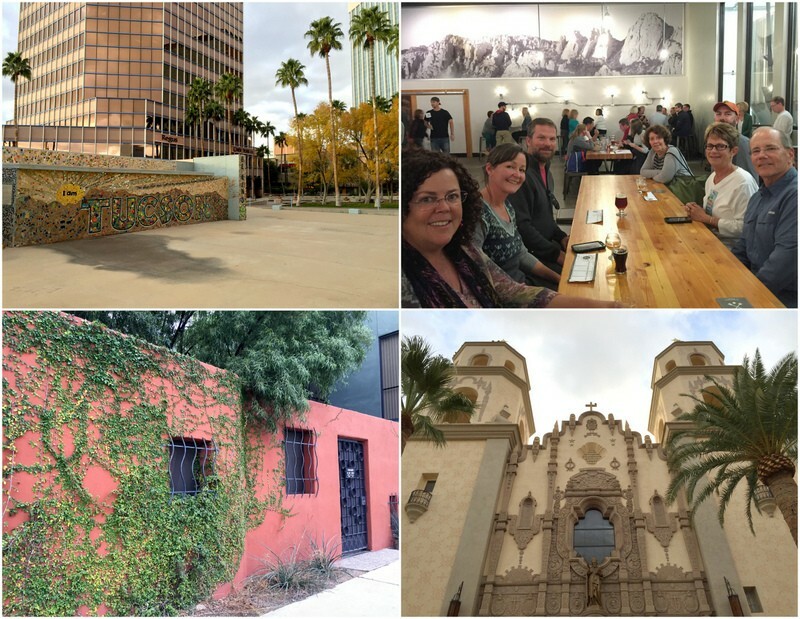 We also did a very brief tour of downtown Tucson and then met up with friends Sue, Robin & Jeremy, and Pam & John for beer and poutine at the Dragoon Brewing Company. 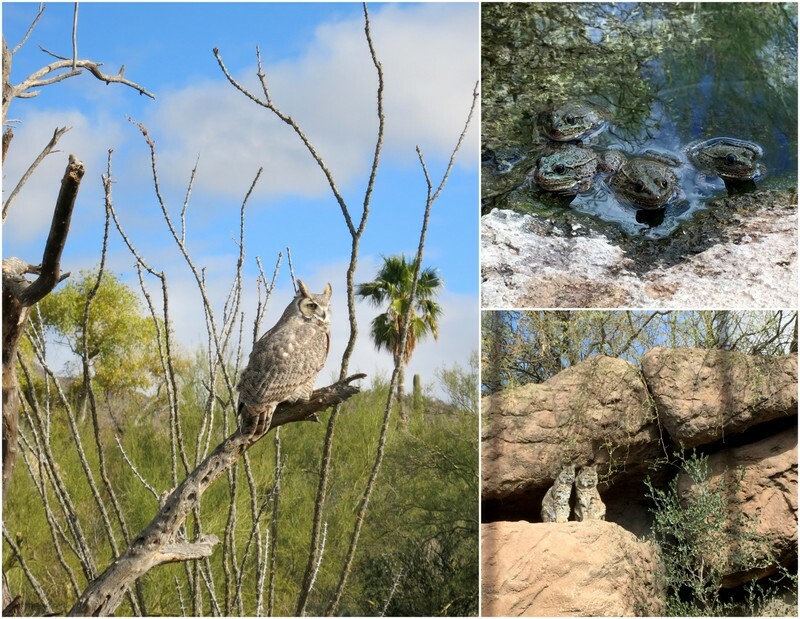 Near the end of the week the clouds let up and we spent a very pleasant day at the Arizona-Sonora Desert Museum. This was our second time at the museum, and our second time having camera problems there. The first year I simply forgot to bring a spare battery, but this time our less than two-year-old camera decided to completely stop working :( Luckily my iphone takes good photos, but you really can’t zoom with a phone camera which means no close ups of animals after the incident happened. 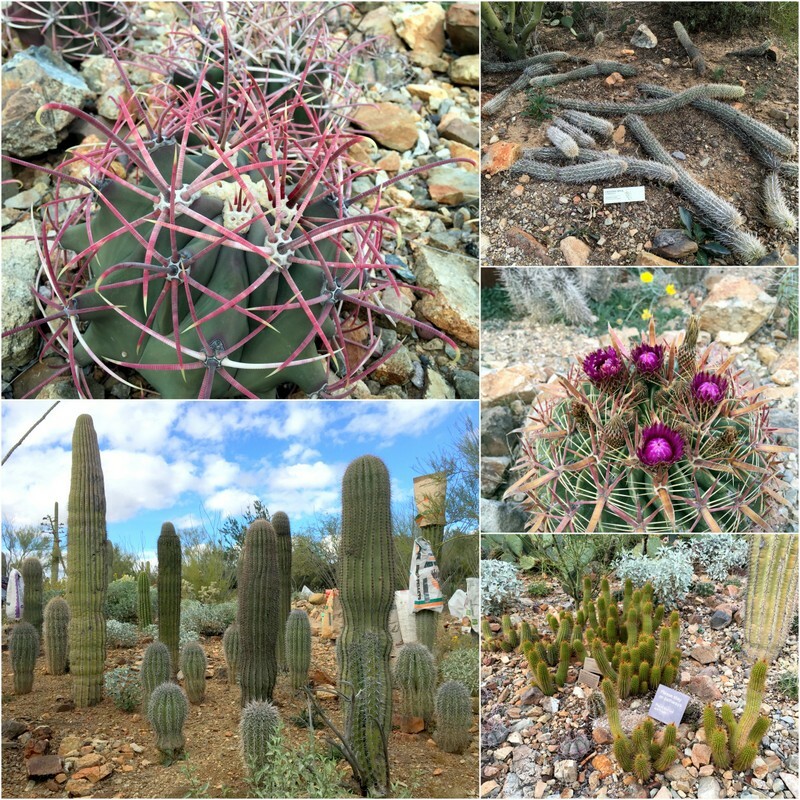 One of my favorite parts of the museum is the really awesome cactus garden containing some unique varieties that you probably won’t see in the wild. 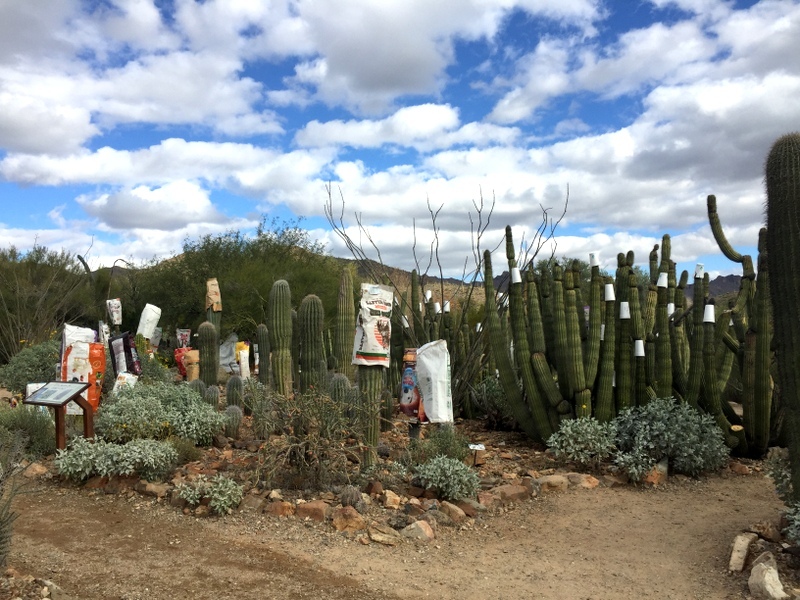 The chilly night-time temps meant that many of the cactus were covered with Styrofoam cups and paper bags to keep them warm at night. It was kind of funny looking. 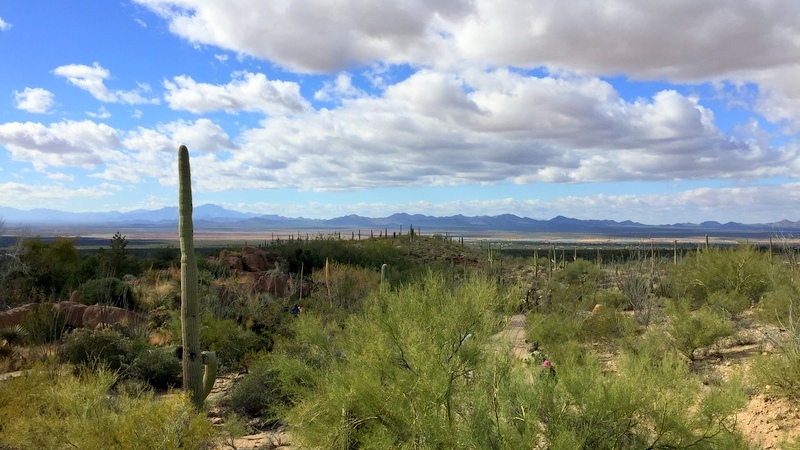 We ended the week with a wonderful Christmas day hike in the Tucson Mountain Park. Followed by a large holiday meal, some present opening, and a delicious dessert of adult root beer floats made from a bottle of bourbon cream that we picked up during our tour of Buffalo Trace in Kentucky, mixed with Virgil’s root beer, and a scoop of vanilla bean ice cream. Yum! And that’s it for our Christmas week in Tucson. We have since moved on to the California desert to join a large group of other travelers for a New Year’s celebration of an epic proportion. More on that plus a year-end round up later this week! The root beer floats sound SO awesome…yum! Nothing like returning to a favored campground and getting your favorite site, it is like coming home! Hey guys, we just crossed paths. We are currently at Catalina State Park until New Year’s Eve. We thought about Gilbert Ray, but was concerned it would be full. We should have taken the chance that there would be space available. Catalina is pretty full. Maybe we’ll look you guys up in Quartzsite if you’re going. 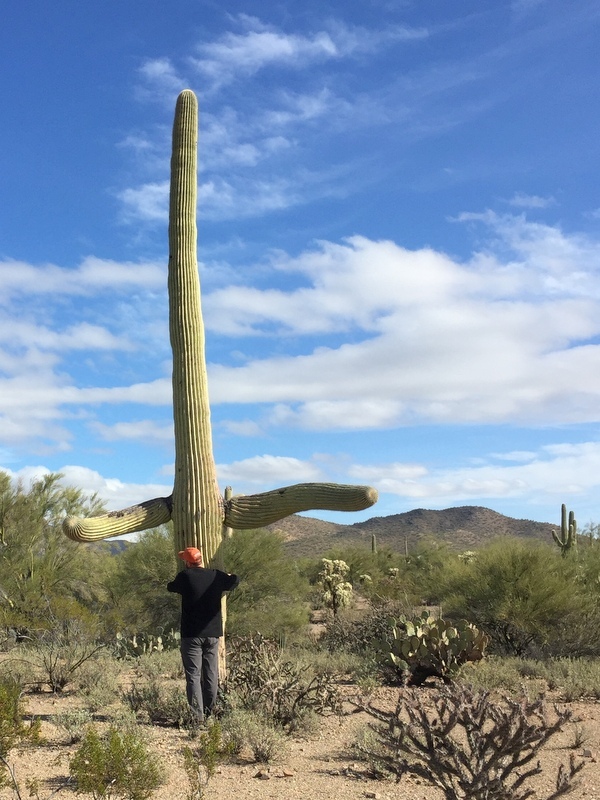 The cactus garden looks awesome, but you got a great pic of that barrel in the wild! 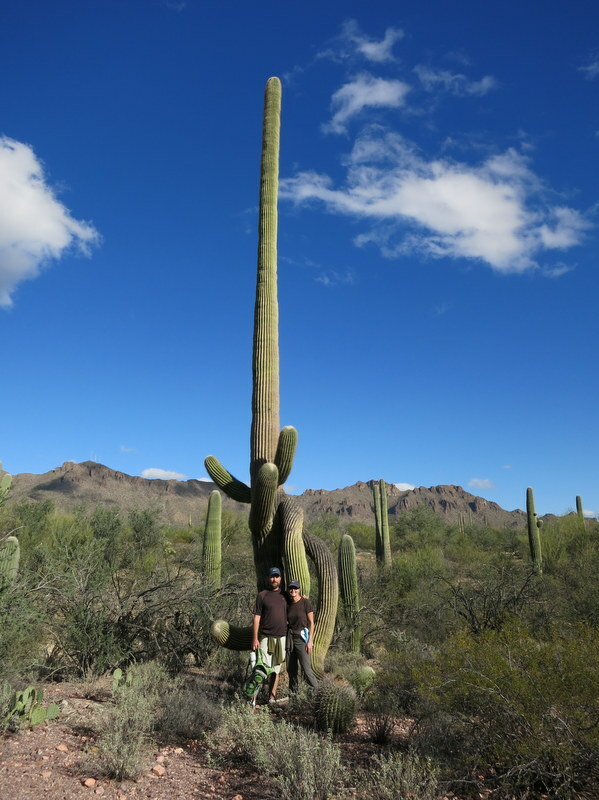 Those saquaro even make Tim look short :-) We’re looking forward to getting back to Tucson after our time in Q in January. Looking forward to catching up with you guys. 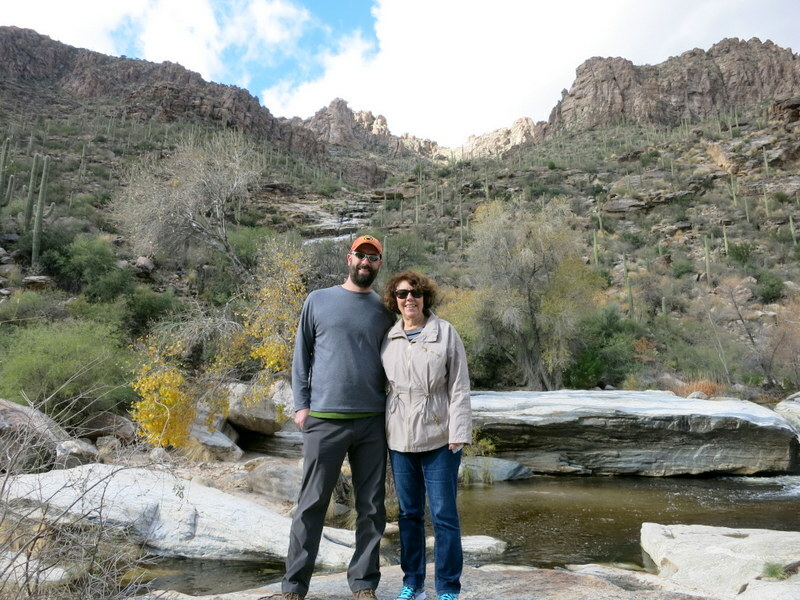 What a fun week…We spend a lot of time in Tucson and I enjoyed your post about lots of old stomping grounds. Can you believe I have never had the opportunity to photograph an owl? Sure would like to be in the right place at the right time for that!